We knew things were bad with the Pac-12 Network, and we still may have been giving them too much credit. Everything you have heard and read about the Pac-12 Networks has been rather negative, and for good reason. Right now, the networks don’t have a deal with DirecTV and AT&T U-Verse and it seems like a deal won’t happen anytime soon. 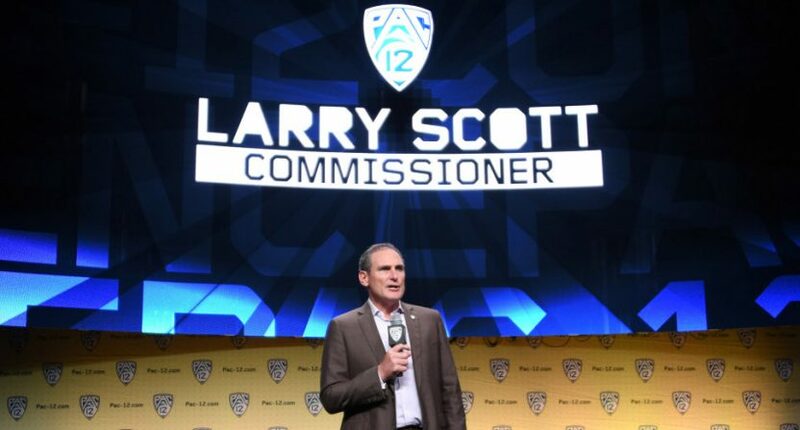 Commissioner Larry Scott makes twice as much as any other commissioner in the country (mainly due to brokering a national media rights deal with ESPN and Fox) and is renting out a building for their offices that costs $5.5 million more in rent than the Big Ten’s offices (who have an office in New York City), so the Pac-12 is experiencing higher expenses with lower revenues compared to other conferences. In order to try and stop the bleeding of how bad things are, Scott wanted to sell 10 percent of the network to private investors while also hiring a PR firm and attempting to raise media rights revenue while trying to convince themselves they’re somehow in a position of strength in negotiations. Now, some concrete numbers regarding payouts to its member schools have been revealed by The Mercury News and the situation may be even worse than expected. Schools are reporting very low returns on network revenue, even when compared against initial expectations. And coupled with having to provide content for a national network along with six regional feeds, it’s tough to imagine a scenario where these schools are making that much (or any) money on the Pac-12 Networks. Before the launch of the networks, schools were told of a revenue range they would expect to see, depending on how things would go. In reality, the payouts have been even lower than the low end, and even though schools were advised to avoid budgeting a specific amount, most figured to at least plan for the lowest number on the low end of the scale. Over the six completed fiscal years of the networks’ existence, the total payout per school, as tallied by campus officials, is $9,708,584 per school — not even at the top end of the single-year range referenced by the source who attended Scott’s presentation. Keep in mind, that number also doesn’t consider the expenses and production costs each school has to spend to create and broadcast the content that’s on the Pac-12 Networks, as well as buying back their own local football and basketball TV rights from IMG and Learfield in order to put that on the networks. Over a four-year period, for example, UCLA had $5.6 million “carved out” of a larger sponsorship deal with IMG as compensation for the loss of its TV rights, according to a school official. Back that figure out of the $9.7 million distributed to each campus by the Pac-12 Networks, and the Bruins have received $4.1 million in net revenue. That’s an average of $683,333 per year over six years of the networks. Remove that from the Pac-12 Networks’ payout, and the Bears have received an average of $433,333 in net annual revenue — or 1/20th of the amount in the high range of the scenario presented to athletic directors. Combine this with a conference of underperforming teams in revenue generating sports, things are not looking great for the Pac-12.